Skip Hop introduces another great idea for kids who are constantly on the go. 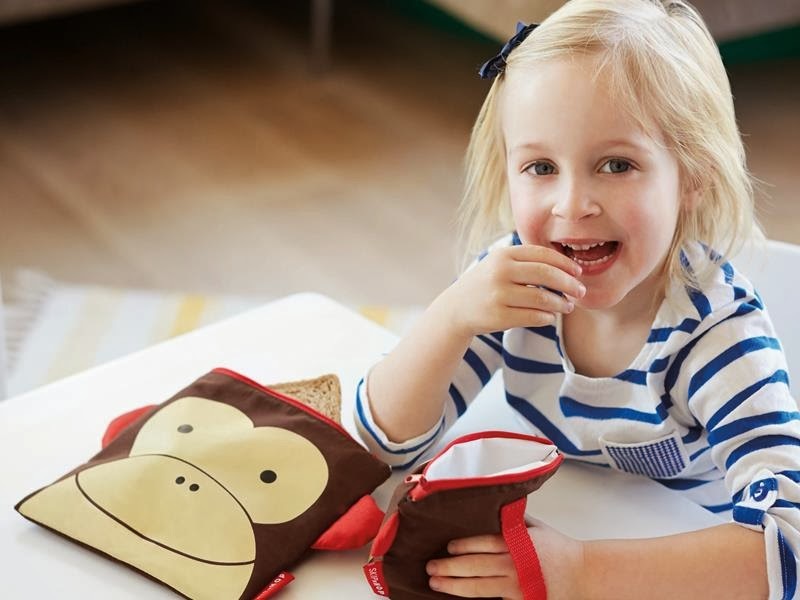 This is the new eco-friendly reusable snack bag collection! The containers features an easy-to-grasp-handle, perfect for stashing the food for school. It also includes sturdy zippers guaranteeing no spills or leaks. This pouch is available in every Skip Hop friends. That is: bee, dog, ladybug, monkey or owl designs. You can get the reusable sandwich and snack set for ($12). You all probably know by now our love for eco-friendly products. 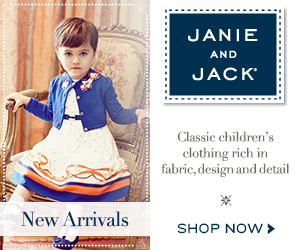 We love items that protect the planet, but most importantly that protect our children. 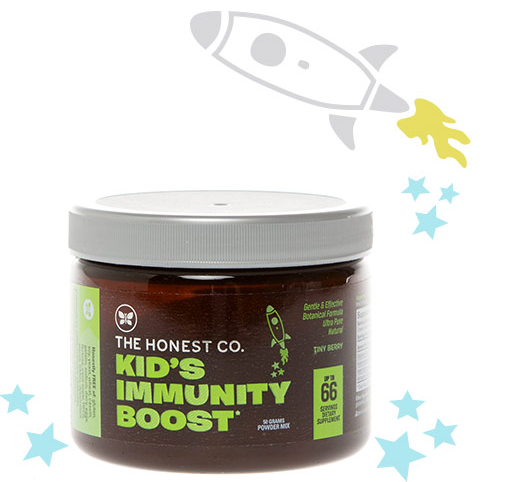 After trying different brands, we found The Honest Co. and we fell in love with all of their products, especially with the Kid's Immunity Boost, a natural botanical blend to support the immune system. 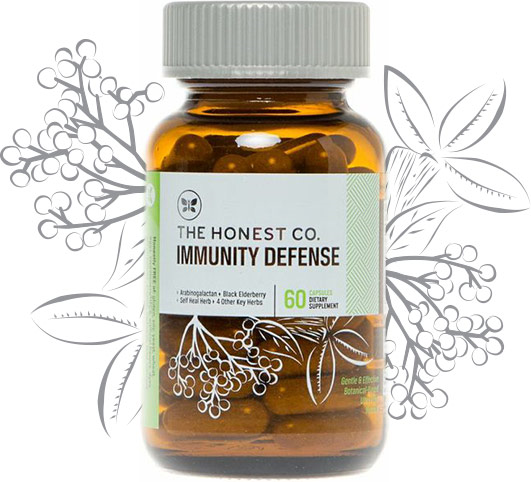 This blend is a combination of black elderberry, Arabinogalactan and other natural extracts known to be effective. This product is a lightly flavored powder, easy to sneak into your children's favorite food or beverages. It is free of: gluten, soy, wheat, casein, gelatin, sodium, dairy, eggs, lactose, cane sugar, HFCS, starch, GMOs, dyes/colors, preservatives, artificial flavors, pesticides, herbicides, heavy metals, binders and synthetic additives. 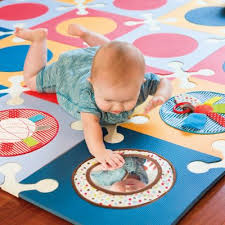 The new Skip Hop Funspot Activity Circles $20.00 is upgrading the popular playspot foam mats simply by adding funspots to the existing circles. This will keep your baby comfortable and happy. It has a mirror, a teether, crinkle leaf and a lot more. Unlike the typical foam mats that are only safety rated for kids 3 and up, Skip Hop Playspot is designed for kids all ages (even for babies from age 0). It is very easy to put together with its connection system (Playspot Foam Tiles sold separately). Dimesions: 70 in x 56 in x 0.5 in thick. 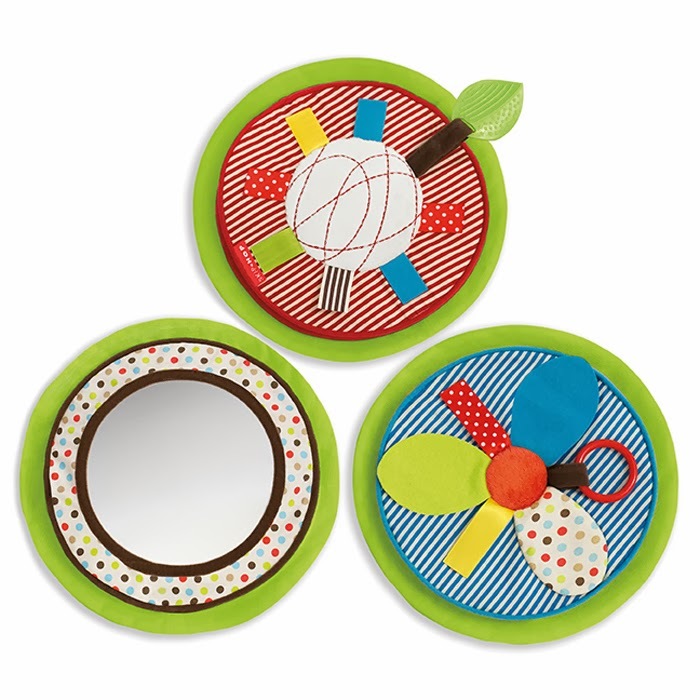 We all now your child's education begins at home, and for that reason this colorful placemat from Fisher-Kids will help them learn to mind their manners at the dinner table. There are different manners printed on each placemat, so your child could learn something each night! But that's not all, these placemats are made of 100% tree-free paper, making them eco-friendly :) It is waterproof and is reusable, but always keep in mind that you cannot fold them. You just need to wash it gently with soap and water. You'll get six unique placemats in each set with their own table manner guides. 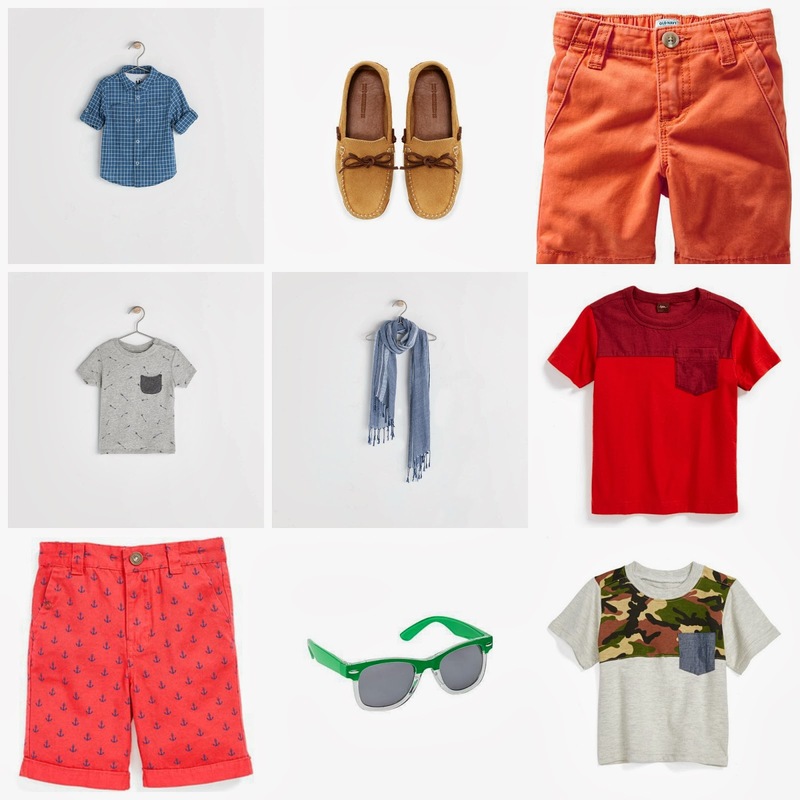 Continuing with last week's post about Spring, we wanted to bring you all these gorgeous and must-have outfits for boys. It's all about the vibrant colors this spring. 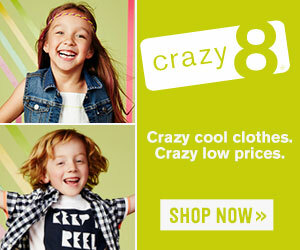 From colorful jeans or shorts to vibrant color blocking pieces, it is very easy for every kid to get in on this trend. In a couple of weeks Ergobaby will be launching their newest addition, the Ergobaby Wrap. This new product is an amazing new way to bond with your newborn. Ergobaby decided that with this product they wanted to focus on the fabric, and they definitely throw it out of the park. Made from 4D stretch material, it s possible to flex it in four directions, and the ultra-breathable cotton will let you have a close contact with your baby. It can be worn on the front or back carry positions. It is very comfortable for parents because it distributes the baby's weight across the shoulders and hips.